The right music, the right mood, the right fuel, the right plotline… and I can write for an hour, as if it was a minute. That was tonight. This… this is why I write. Stories and people and scenes just come out, unfolding of their own accord. The story just translates itself from thoughts somewhere in the depths of my brain to words on paper (virtual). I don’t even have to try, it just pours out. This was tonight. Such a good night. 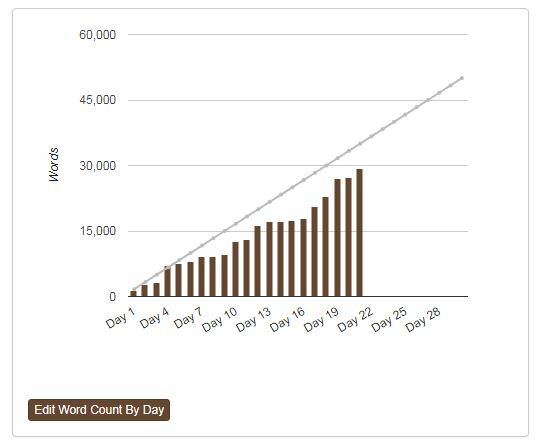 I wrote 2k words, which puts me only <6k behind. Still chugging along. This entry was posted in NaNoWriMo by Jeremiah G. Bookmark the permalink.